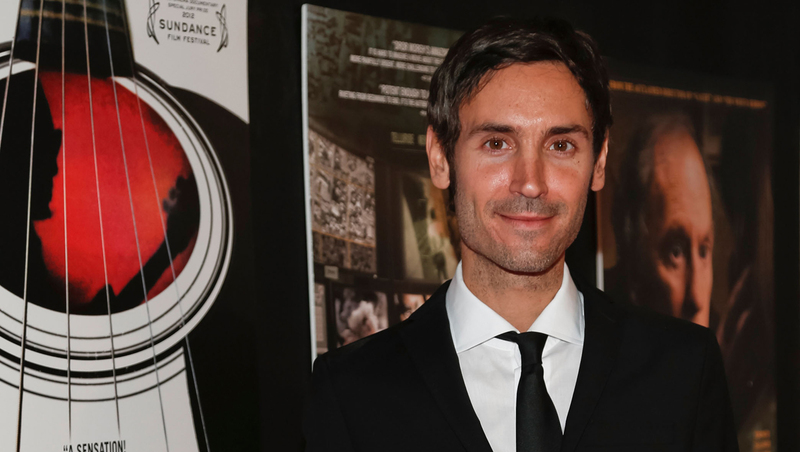 STOCKHOLM -- Malik Bendjelloul, the Swedish director of the acclaimed "Searching for Sugar Man" documentary, was widely known for his enthusiasm, kindness and high spirits -- so the news Wednesday that he had taken his own life shocked colleagues around the world. Bendjelloul's brother Johar Bendjelloul confirmed to The Associated Press that his 36-year-old younger brother committed suicide Tuesday. He told daily Aftonbladet that his brother had struggled with depression for a short period. "Life is not always simple," Johar Bendjelloul was quoted as saying, adding that receiving the message that his brother had committed suicide was the worst thing he had ever experienced. "I don't know how to handle it. I don't know," he said. Police would not comment on the cause of death but said they suspected no foul play. Bendjelloul rose to international fame in 2013 when his debut feature film, "Searching for Sugar Man," won an Oscar for best documentary. The film tells the story of Detroit-based singer-songwriter Sixto Rodriguez, who had flopped in the United States but became a superstar in apartheid-era South Africa without even knowing about it. "He made a great film and will be missed," U.S. documentary film maker Michael Moore wrote on Twitter. British film producer Simon Chinn, who produced "Searching for Sugar Man," said he was shocked and deeply saddened by the news of his friend's passing. "It seems so unbelievable," Chinn told the AP over the telephone. "He had everything to live for." Chinn said he saw Bendjelloul only two weeks ago in London. "He was so full of life, hope and optimism and happiness, and looking forward to the future and future collaborations," he said. "The idea that he is no longer is just too hard to process." The soft-spoken Bendjelloul worked as a reporter for Sweden's public broadcaster SVT before resigning to backpack around the world. He got the idea for "Searching for Sugar Man" during one of his trips, but it would take him more than four years to complete the film. He reached out to Chinn when the film was 90 percent finished, but his main sponsor had withdrawn support, saying the film was lousy. "He just kind of came in with his bounce of enthusiasm and charm and smiling eyes and I was completely won over by him," Chinn recalled Wednesday. "He had found this amazing story and was completely determined to do it justice," he said. "The fact that no one else believed in it didn't seem to deter him, he just kind of pursued it with incredible passion and tenacity that I hadn't really ever seen before in a filmmaker." SVT's culture chief Eva Beckman said his death was incomprehensible. "One always says it is unbelievable when a young person dies, or when anybody dies, but it is even more unbelievable with Malik," she said Wednesday. "Malik was simply such an incredibly alive person." Beckman also praised Bendjelloul's strong storytelling skills and his willingness to experiment with new formats. "Searching for Sugar Man's" Oscar win led to a career rebirth for Rodriguez, who has been touring major venues in the U.S. and introducing American audiences to the songs he wrote four decades ago. He was performing Tuesday night in Detroit, but his manager said he wouldn't be commenting on Bendjelloul's death. Funeral arrangements weren't immediately known.